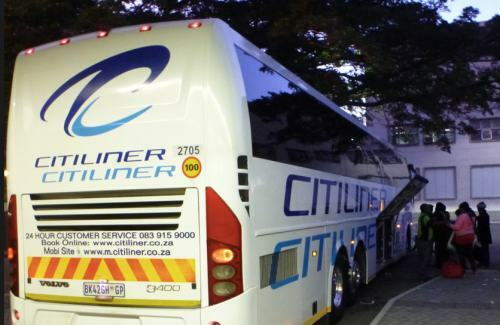 Rather than take the more expensive Baz Bus, I bought a ticket on one of the several available coaches traveling Cape Town to Port Elizabeth. There are many every day. Competition keeps quality high, prices low for long distance bus travel. I paid about $32 for the 8 hour trip. From the bus stop on the highway, however, there’s no public transportation to the National Park. 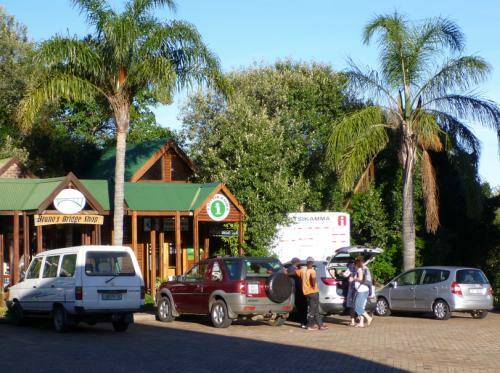 Asking at Tourist Information, I quickly found a driver willing to take me the last 18km for 150 Rand ($17). … Perhaps I should have taken the Baz Bus after all. It would have delivered me closer to the Park gates. And picked me up end-of-hike at a hostel in Nature’s Valley. 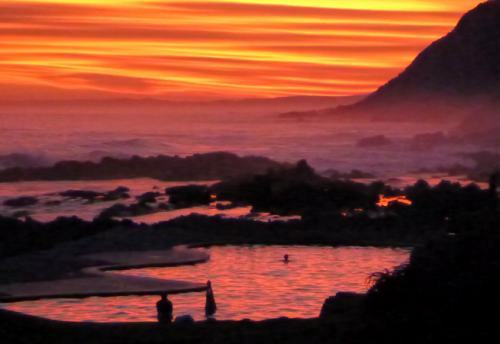 Many had recommended staying the night prior to departure at the trailhead Storms River Mouth Restcamp. I tented. The sunset was definitely as magical as I’ve EVER seen. 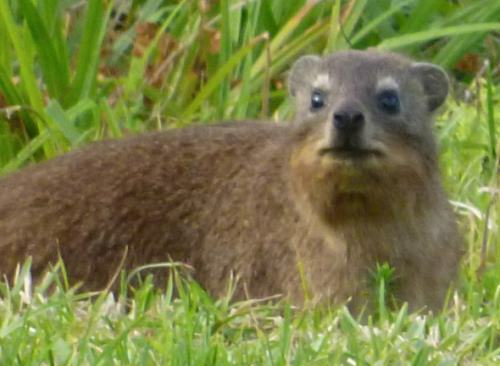 After a rib feast and South African wine at dinner, I couldn’t have been more excited to start the Otter Trail next day. 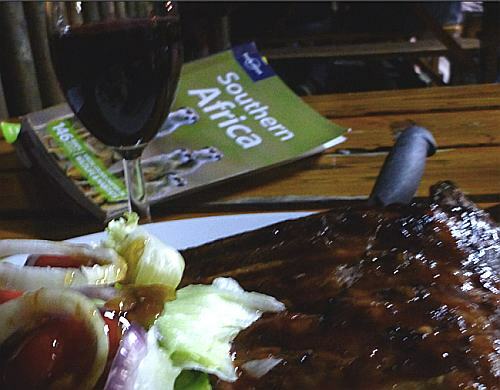 Restaurants are comparatively inexpensive in South Africa. My original high res photos from day 0. This entry was posted in coastal, photos by Rick Mc. Bookmark the permalink.